Too much stuff. Too many activities. Too much exhaustion. Too much stress. How can we sift through the busyness, the mess, and the stress to uncover the abundant life God offers? In Uncluttered, one woman shares her journey from a life of stress, stuff, and burnout to one of peace, space, and fulfillment. 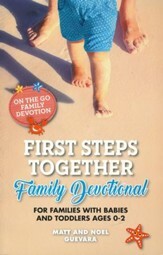 You'll learn tips for paring down your possessions, simplifying your schedule, and practicing the ancient art of Sabbath. 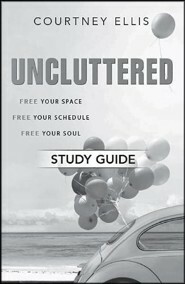 Uncluttered is not a formula about what "stuff" you need to give up. It's about slowing down long enough for God to remind you of his truth and what it means to be his child. Uncluttered ushers you towards a lifestyle of holiness and joy in the Lord. 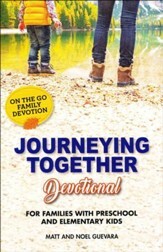 Author Courtney Ellis' sharp wit, clever humor, and profound insights will not only take you on an exciting journey through her walk with the Lord, but will also lead you to uniquely experience yours. Find out what happens when you simply put God first. "Peace. Less. Still. Enough. Simple. Clear. Rested. Read Uncluttered." 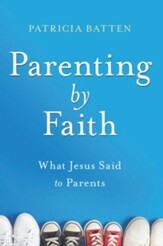 "The key to healthy, sustainable, contagious faith is our commitment to living simpler, quieter, more uncluttered lives. This is the urgent and soul-nourishing message of Uncluttered." 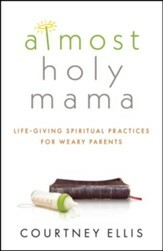 "With disarming candor, sly humor and the empathy of the pastor and spiritual counselor that she is, Courtney Ellis has given us a gift." 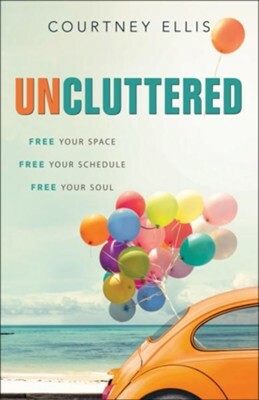 "Uncluttered is a funny, nonjudgmental, down-to-earth guide not just for clearing out junk, but for laying hold of freedom in order to perceive God and abide with him." Courtney Ellis is the associate pastor for Spiritual Formation and Mission at Presbyterian Church of the Master. She holds degrees from Wheaton College, Loyola University of Chicago, and Princeton Theological Seminary, and has been published in Christianity Today Women. She is a sought-after speaker for leadership and women's retreats, MOPS (Mothers of Preschoolers), and young adult ministries. Courtney resides in Southern California with her family. I'm the author/artist and I want to review Uncluttered: Free Your Space, Free Your Schedule, Free Your Soul.